After car accidents, most victims focus on obtaining treatment for and recovering from physical injuries. While this is important, it is also critical for accident victims to seek treatment for injuries that are less difficult to see, but are in some ways just as serious, namely, psychological trauma. Victims of serious car accidents are at an increased risk for psychological problems, especially post-traumatic stress disorder (PTSD). PTSD can take an enormous physical, emotional, and financial toll on victims and their families, making it difficult for many victims to hold down a job or handle problems in their personal life. Seeking treatment is key to overcoming these kinds of issues, so if you were injured in a car accident and are suffering from some or all of the symptoms of PTSD, you should strongly consider speaking with an experienced car accident attorney who can help you seek compensation to cover your treatment-related costs. Increased physical disturbances, including irritability, being easily startled, and insomnia. 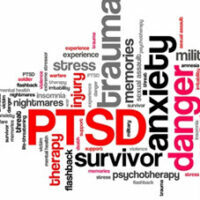 PTSD in car accident survivors is much more prevalent than most people realize. In fact, a number of studies have revealed that PTSD affects as many as 25-33 percent of vehicle accident victims. An assessment of these statistics has led researchers to estimate that car accident-related PTSD affects between 2.5 and 7 million people in the U.S. Obtain prescription medications to treat anxiety and related symptoms. While these are important steps that accident victims who are suffering from PTSD may need to take in order to recover, they can be expensive. Fortunately, victims who were injured in accidents for which they were not at fault, can collect damages from the at-fault party to cover the cost of treatment. To speak with an experienced car accident attorney about filing a claim to recover damages for your own accident-related injuries, please call Boone & Davis in Fort Lauderdale at 954-566-9919 or send us an online message today.